A multi-use stadium in Del Mar, California. Opened in 2005. The stadium is home to the Cathedral Catholic High School Dons. 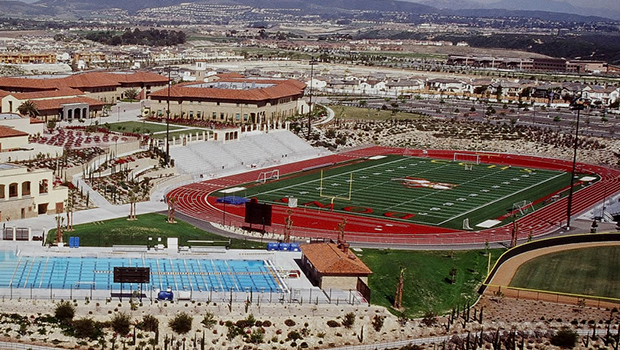 This state-of-the-art sports turf stadium is the home of Cathedral Catholic High School Dons and the Women's Premier Soccer League's San Diego SeaLions. This stadium is lighted with a capacity of 5,000 people, with a surrounding track. The facility includes an electronic scoreboard, which is utilized for multiple sporting events. Surface: Artificial turf Length-115 yards, Width-70 yards.